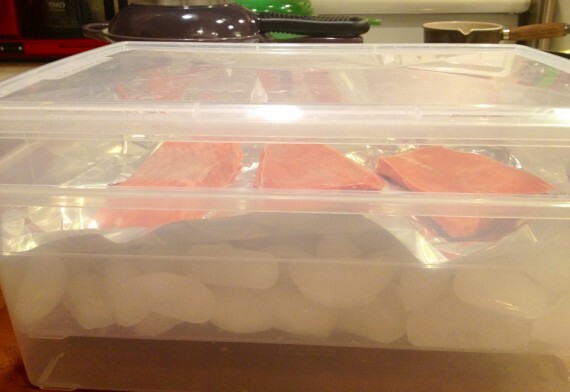 Go to a container store and buy two cheap plastic containers (with lids) that would fit the number of pieces of fish you think you’ll be thawing most often. You’ll need two of the container bottoms and only one lid. 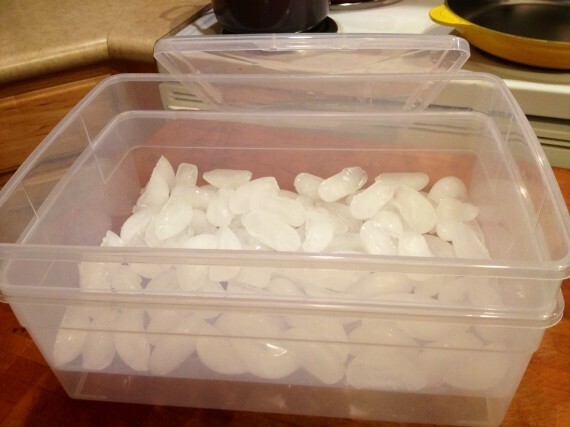 Take one of the container bottoms and drill some holes in the bottom of it (or have your spouse do it, like I did). 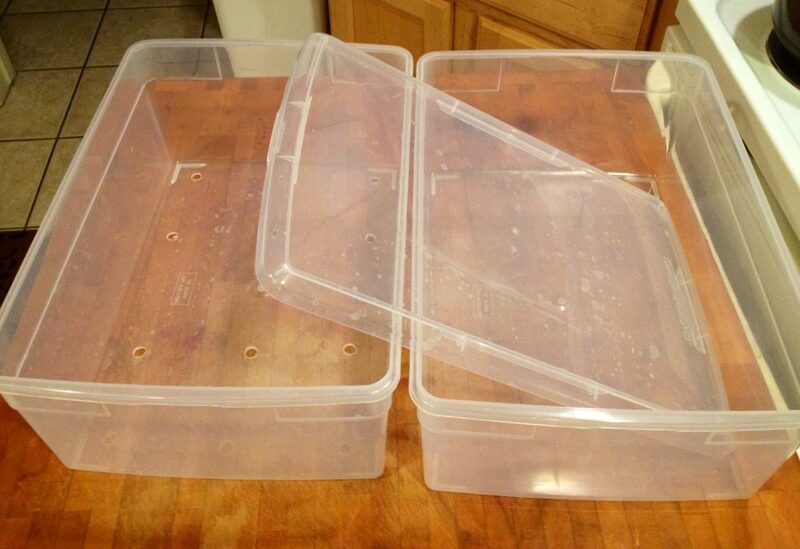 The reason for drilling the holes is that it’s going to nest inside the other container without holes. 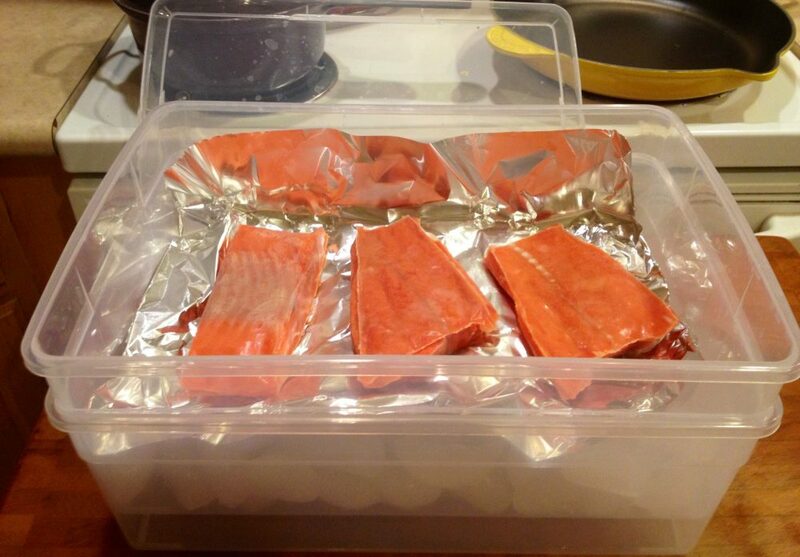 You’ll fill the container with holes with ice, lay aluminum foil on top of the ice, and lay the fish to be thawed on the top of the foil. Put the lid on. Two containers stacked, one on top with holes drilled in and filled with ice. Wild caught sockeye salmon is unwrapped and placed in container. Place the container in the refrigerator to thaw the day before you plan on cooking it. 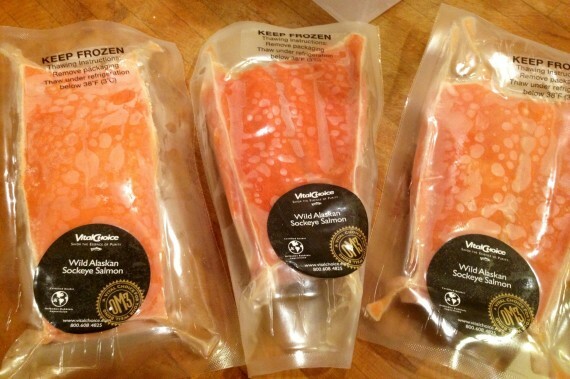 This also works great for fresh fish that you buy at the market and plan on making that day or the next (at the latest). Stay tuned for my next post where I’ll share my crowd pleasing recipe for (baked) Rosemary Lime Wild Caught Salmon.